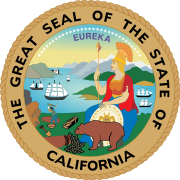 The 1994 California Courts of Appeal election was held November 8, 1994. The judges of the California Courts of Appeal are either approved to remain in their seat or rejected by the voters. All of the judges kept their seats. Associate Justice James F. Perley, Jr. This page was last edited on 21 February 2019, at 21:51 (UTC).